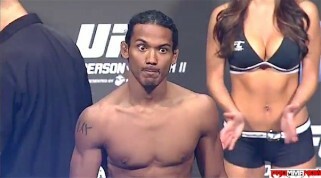 Notes: Ben Henderson will take on Gilbert Melendez at the UFC on FOX 7 event in April. Gray Maynard is holding down the #2 spot. Anthony Pettis will be moving down to fight Jose Aldo in August and will be removed from the rankings on the next update more than likely. Nate Diaz will take on Josh Thomson in his next matchup. Jim Miller will be taking on Pat Healy at UFC 159. Eddie Alvarez is in contract limbo between Bellator and the UFC. TJ Grant makes his first appearance in the rankings at number 10 after winning four straight fights.